A load cell is a transducer that is used to create an electrical signal whose magnitude is directly proportional to the force being measured. 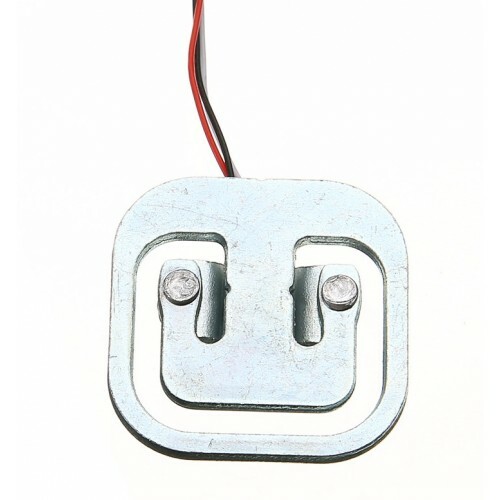 This weight sensor (load cell half bridge 50KG) is suitable for electronic balance and other high accuracy electronic weighing devices. Using a sensor with external resistors full bridge measurement range of a sensor range: 50kg. Higher requirements for external resistor. The use of only two full-bridge sensors measuring range is the range of the two sensors and: 50kg*2 = 100kg. The use of four full-bridge sensors measuring range is the range of four sensors and: 50kg*4 = 200kg. HX711 Weighing Scale ModuleHX711 is an IC that allows you to easily integrate load cell into your pr..
Load Cell 40 KgA load cell is a sensor or Transducer then converts electrical signal proportional to..